There are many different types of body image issues that patients present to my plastic surgery office. People present with a wide variety of complaints about their physique. Often, patients have very high goals and expectations of their plastic surgery results. Sometimes, patients demand unrealistic results. Some physical issues are real, while other physical maladies are significantly magnified by their owner's eyes. During a plastic surgery consultation, it is critical for the keen plastic surgeon to be able to detect patients who correctly see their body and identify and differentiate patients who incorrectly see their bodies. Patients who mistakenly view their body may be difficult to recognize. Many of my patients have lost significant weight. Most of my patients focus on commonly afflicted areas, like the abdomen, thighs, arms, and chest. However, a minority of patients become overly concerned about a particular body part. For example, they may have just lost 250 pounds and have rolls of abdominal skin, but they are fixated on their "rather normal" calves. This type of patient should be thoroughly examined. It is paramount for the examining plastic surgeon to determine if this kind of patient sees their body accurately. Many patients have been told their entire life that they are obese. Whether they are overweight or not, their brains are conditioned to see themselves as obese or fat. Whether they are overweight or not, constant small reminders reinforce their outlook and can torture many men and women. Over time, patients start believing these little, inaccurate reminders and perhaps misinterpreted these clues that they are obese. Family and friends can also add fuel to the fire. Little things said are often misinterpreted. These false views can become permanently ingrained, and people can wind up seeing themselves as "obese." In other situations, a person may become fixated on a particular body part. This fixation can become intense and can preoccupy the patient. Sometimes these "fixations" can be initiated or reinforced by other people. The title wave of visual media on the Internet certainly does not help either! Soon enough these "vague concerns" become chronic fixations. Often, patients seek plastic surgery for definitive correction. The medical term for this condition is called "body dysmorphic disorder." This disorder is an internationally recognized psychiatric condition. There is a distinction between having a concern for a having a fixation on a body part and body dysmorphic disorder. In body dysmorphic disorder, patients spend many hours upon hours fixated on their "presumed deformity". Unfortunately, body dysmorphic disorder is fairly common. This disorder affects about 2 to 3% of the general population. Body dysmorphic disorder affects men and women equally and is thought to start during adolescence. Body dysmorphic disorder can develop for any body part. The most common misperceived body parts affected include the nose, abdomen, legs, and skin. Because of their presumed flaws, body dysmorphic disorder patients isolate themselves and avoid social interaction. Extreme social withdrawal can even lead to suicide. The cause of body dysmorphic disorder is multi-variable. Causes of body dysmorphic disorder include genetic predisposition, childhood abuse, and negative body image. In my plastic surgery practice, there are three general types of patients I encounter. First, there are "normal" patients. These patients are by far the majority of the patients in my practice. These patients have abnormal body parts and wish reconstructive plastic surgery to return their body parts to a more "normal" shape and form. These patients do not want to be "super normal". They do not want to stand out from the crowd; they just want to fit in, look normal and proportioned. In the second group, these patients begin as "normal". They have real skin and fat issues and are realistic in the expectations from plastic surgery. However, after plastic surgery, they become fixated on a particular body part. Even though the surgical result can be perfect, the patient is fixated on their defect. This obsession can lead to the development of post-operative body dysmorphic disorder. In the third group, these patients have body dysmorphic patients. Fortunately, these are the minority of patients in my plastic surgery practice. Usually, these patients are overly concerned with the appearance of a relatively normal body part. Sometimes with enough pre-operative discussion and consultation, these patients can be identified and discouraged from having plastic surgery. All potential plastic surgery patients should be thoroughly examined. During a consultation, I have the patient complete an intake questionnaire. The survey asks which body parts bother the patient most. Then each body part is carefully examined. The patient and I look at these body areas in the mirror together. In the mirror, I try to show the patient what my plastic surgery procedure will do for their body. Additionally, I also show the patient pictures of other patients with the similar physique and their plastic surgery results. It is vital to discuss your goal and expectations with your plastic surgeon. Express your wishes. Tell your plastic surgeon exactly what you want to be done. During the consultation, it is important for the plastic surgeon to listen to the patient. The patient's concern should be "reasonable". If a patient presents for the ninth revision of their nose and there is only a minimal cosmetic deformity, this should alert the plastic surgeon. Additionally, if a patient with a minimal deformity complains of catastrophic physical and social problems because of the deformity, the patient should be more closely questioned. Ideally, there should be "legitimate" areas of concern. 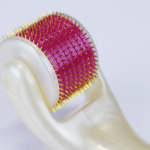 It is essential for the plastic surgeon to see and appreciate these areas of concern. Additionally, it is imperative to listen to the patient's expectations from plastic surgery. If the patient is physically fit and medically stable and if their expectations are realistically achievable, the plastic surgery procedure should proceed. If the patient has unrealistic expectations or non-discernible areas of concern, the procedure should be reconsidered. If the patient believes that the plastic surgery procedure will get them a new job or husband, or make them friendlier, the procedural expectations should be reviewed. Plastic surgery does not change body image issues. Body image issues are the way the brain sees the body. Since body image is a brain function, it may take some time for the brain to accurately "see" the new body. After plastic surgery, a person may have a completely normal physique; however, if they have an altered body image, they may see themselves as still obese or deformed. After plastic surgery, most patients "see" significant results. They see a flatter tummy, skinnier legs, improved nasal profile, etc. However, there is a subset of patients who do not "see" significant results. Even though I removed thirty pounds of skin and fat from their torso during a circumferential body lift, they still view their abdomen as "fat". Fortunately, most of these patients need time and reassurance. Sometimes, for the patient to accurately see their new body, it may take six to twelve months of constant reminders in the office mirror. Also, it might require me showing the patient the pictures of the thirty pounds or more skin and fat removed. Unfortunately, there is a subset of patients who either had body dysmorphic disorder before plastic surgery or developed this disorder after plastic surgery. Fortunately, most people do not have body dysmorphic disorder. If a body part concerns a patient, most will seek consultation with a plastic surgeon. Overall, by far, most plastic surgery patients are satisfied with their results. However, it is a different story for patients with body dysmorphic disorder. Plastic surgery rarely benefits of patients with body dysmorphic disorder. Even if perfect plastic surgery is performed, most body dysmorphic disorder patients continue to obsess over the specific body part. Some patients will become even more fixated on the body part. Some body dysmorphic disorder patients will even switch fixations to another body part. 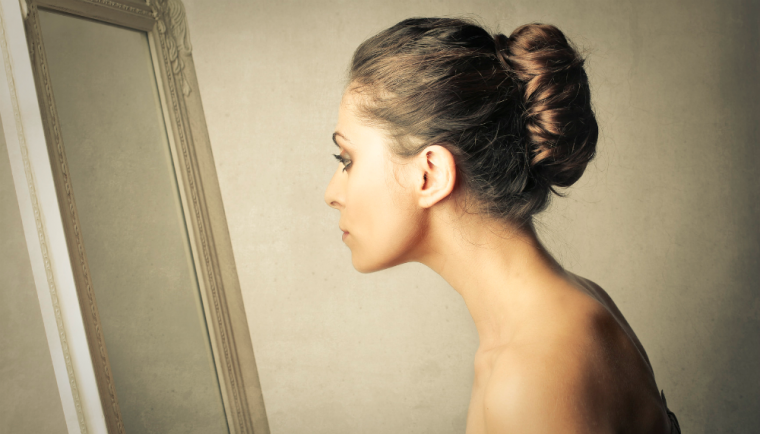 Unfortunately, no matter how much plastic surgery is performed, the body image in patients with body dysmorphic disorder may never be changed. The key to identifying body dysmorphic disorder patients is during the consultation period. It is essential to recognize these patients and ideally, avoid plastic surgery. If plastic surgery is performed, supportive will be needed, but may not prove helpful. Often these patients will require psychiatric assistance. Unfortunately, no matter how much plastic surgery is performed, the body image in patients with body dysmorphic disorder may never be changed. The key to identifying body dysmorphic disorder patients is during the consultation period. It is essential to recognize these patients and ideally, avoid plastic surgery. If plastic surgery is performed, supportive will be needed, but may not prove helpful. Often these patients will require psychiatric assistance. Most patients do not have body dysmorphic disorder. Most plastic surgery patients do very well and are satisfied with their results. During the consultation, it is essential for the astute plastic surgeon to examine carefully and question patients. During the consultation, clues can be obtained to determine if a patient may have body dysmorphic disorder. In general, plastic surgery changes the face and body; however, plastic surgery usually does not change the way the mind looks at the body.